Do the math: How much of your time is spent consuming things other people made TV, music, video games, websites versus making your own? Only one of those adds to your value as a human being. via 6 Harsh Truths That Will Make You a Better Person | Cracked.com. An interesting post by the great David Wong over at Cracked. What really stood out for me was the quoted line above. 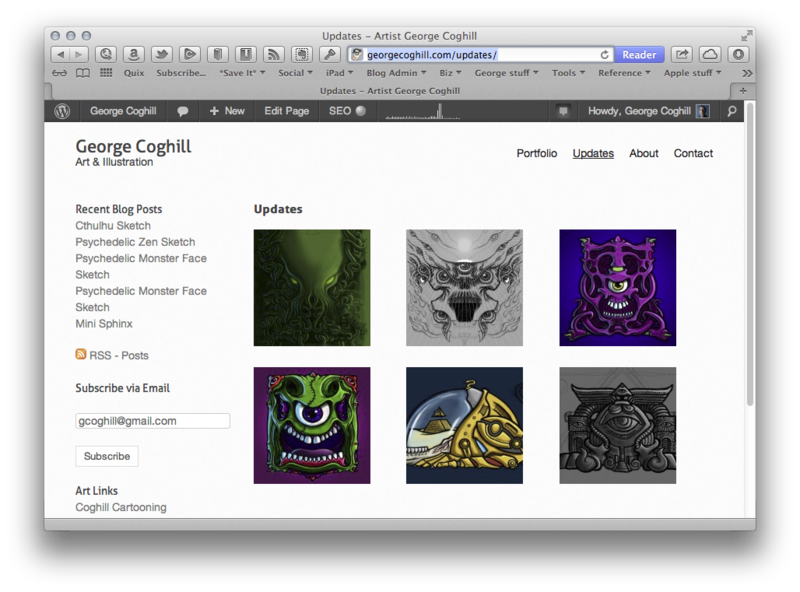 I’ve been trying to become more of a contributor to the internet lately, whether via blog posts or my artwork. Sometimes one forgets that all those helpful reviews and articles you’re browsing were created by someone else taking the time to write and post them. I’m trying to be more of a contributor/creator and less of a consumer. I think of it as an internet version of “carbon credits” — each time you get something useful from a blog post, you should add a useful post yourself. Be sure to check out other posts by Wong, good stuff.